The parking problems here at the University of Rhode Island have been discussed time and time again. Yet here we stand, still with no solution. It seems the only thing people can agree on is that the current state of affairs is unacceptable. Whether it is the lack of spots available within a convenient distance or simply the disgraceful excuse that is the Fine Arts Center lot, something is not working here, and everybody knows it. I have heard of talks in the past of a new parking garage. Though it seems attractive, I have not heard much else in addition to the fact that it could potentially be feasible in the future. After so much distain from the student body, it is clear at this point that the University of Rhode Island would rather ignore reasonable complaints, than give the people that pay to go here a decent place to park on a 1,200 plus-acre campus. I understand that this is not the most burning issue that URI or its students have to face. It is an ongoing predicament, though that has not seen even a hint of improvement in quite some time now. Before I even purchased my car at the end of last school year, people I knew that had their own cars had warned me of the horrors that are parking on campus. Little did I know what I was getting myself into. The last thing I want is for this piece to make me seem entitled or pompous, but it is infuriating to think of what the money I pay for parking goes to when I see how the lots look every day. For starters, the Fine Arts Center lot looks like they forgot to finish paving it. Students have created makeshift spots because there are so few to be found. Of course there is the Plains Road Lot, except for the fact that it is located in what feels like a couple hundred miles away from any academic building. 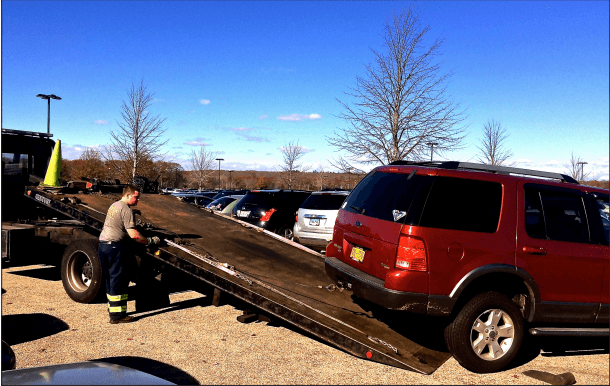 In addition, tow trucks are always lurking, waiting to pounce on any misguided parker and hit them with a hefty fine as a nice cherry on top. The extremities here are exaggerated, of course. I adore this school despite the fact that I dread the morning commute here. With all of that being said, it is time for changes to be made about something as miniscule as parking. I come here to work and go to class. I would like to do so without worrying about whether I will get a place to park if I get here after seven in the morning.